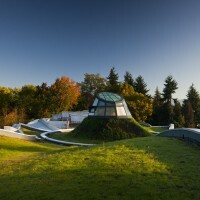 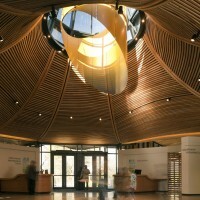 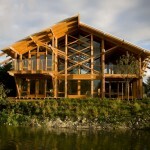 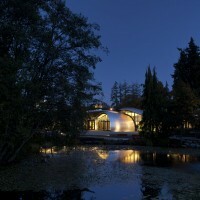 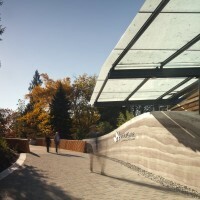 Perkins+Will have completed the VanDusen Botanical Garden Visitor Centre in Vancouver, Canada. 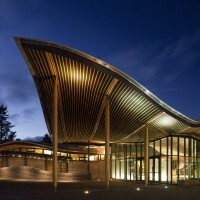 The VanDusen Botanical Garden Visitor Centre creates a harmonious balance between architecture and landscape—from a visual and ecological perspective. 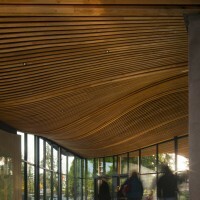 Inspired by the organic forms and natural systems of a native orchid, the1,765-square-metre building is organized into undulating green roof ‘petals’ that float above rammed earth and concrete walls. 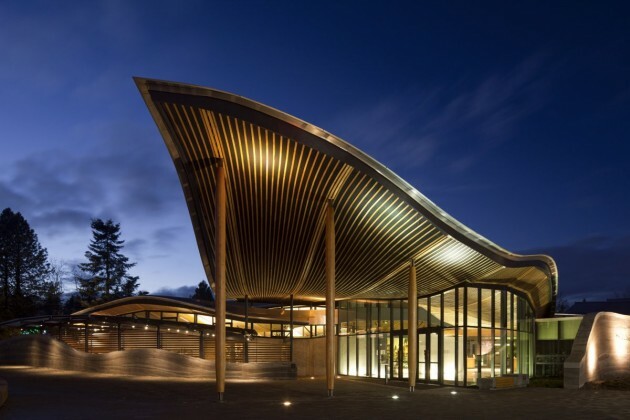 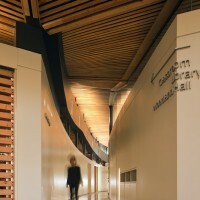 Designed to exceed LEED Platinum status, the Visitor Centre is pursuing the Living Building Challenge—the most stringent measurement of sustainability in the built environment. 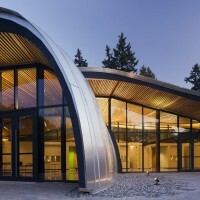 The facility uses on-site, renewable sources to achieve net-zero energy on an annual basis; sequesters enough carbon to achieve carbon neutrality; uses filtered rainwater for the building’s greywater requirements; and treats 100% of blackwater in an on-site bioreactor. 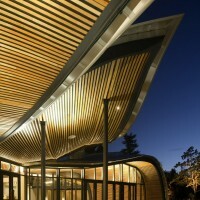 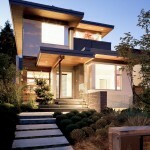 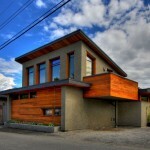 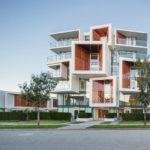 Visit the Perkins+Will website – here.